Insurance House P.S.C (IH) handed over two brand new Chevrolet Malibu 2018 cars to the third and fourth winners of the monthly “Insure & Win a Car” Raffle Draw. The third Raffle Draw was conducted on 9th of September 2018 for the 3rd and 4th winners. It was dedicated to one Client and one Insurance Partner. The Customer, Fatima Abbad Dadi won the third car and Delta Insurance Services claimed the fourth car. 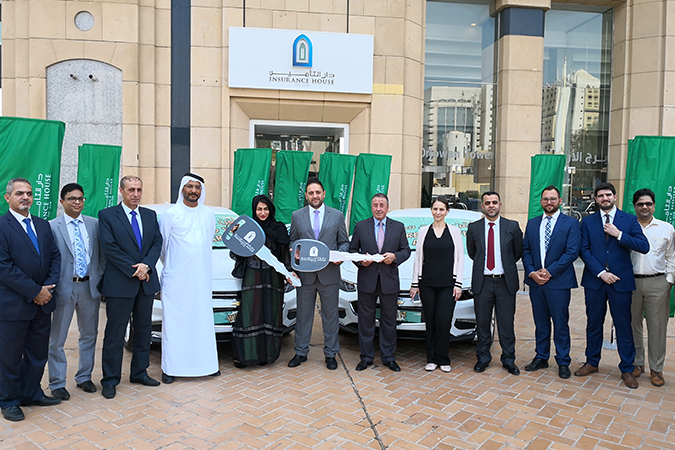 The Raffle Draws were carried out at Insurance House Main Branch under the supervision of an official representative from the Department of Economic Development, Abu Dhabi.